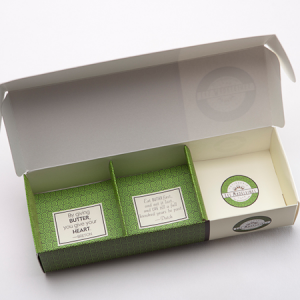 Just in time for Father’s Day we’ve redesigned our gift boxes. Dad will appreciate how practical it is, not to mention delicious. Use coupon code DAD14 for 15% off the Kouing Aman Gift 3-pack when you order two boxes or more shipped to the same address by Saturday, June 7, 2014. **Note that shipping two boxes is the same weight as one. © 2012-2016 Les Madeleines. All rights reserved.